Be the first to share your favorite memory, photo or story of Guy. This memorial page is dedicated for family, friends and future generations to celebrate the life of their loved one. Guy D. Bowen Guy D. Bowen was born on October 3, 1937, in Denver, Colorado, and passed away on November 23, 2018. He was 81 years old. Guy lived the last 26 years in Mossyrock, Washington with his wife of 59 years Marcia L. Bowen. Prior to moving to Mossyrock, Guy and Marcia lived in Tacoma, Washington where Guy retired from the Tacoma Police Department. Guy was serving in the US Navy when he met and married Marcia. 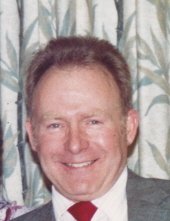 Guys living memory is composed of his five children, Howard K. Thomas, Maurice J. Thomas, Donald L. Thomas, Kelly D. Bowen, and Joni M. Bowen, including seven grandchildren, Kristie Adams, Jenifer Klatt, Rachele Thomas, Edward Griffin, Cameron Griffin, Andrew Griffin, and David Bowen, five great grandchildren, and two great-great grandchildren. Guy shared his love for fishing and hunting with his family and friends and blessed everyone with his humor, generosity and kindness. It's an understatement to say he was an avid wood worker because he was a true artist. To send flowers or a remembrance gift to the family of Guy D. Bowen, please visit our Tribute Store. "Email Address" would like to share the life celebration of Guy D. Bowen. Click on the "link" to go to share a favorite memory or leave a condolence message for the family.